This entry was posted on August 27, 2014 at 7:45 pm and is filed under 1980s, films, Heavy Metal, Heavy Metal and the 1980s, Music, Rock, Uncategorized with tags Anvil, Canada, Classic Rock, Hard 'n' Heavy, hard rock, Heavy Metal, Heavy Rock, Rolling Stones, Rush, The 1980s, Triumph. You can follow any responses to this entry through the RSS 2.0 feed. You can leave a response, or trackback from your own site. Agree with your review here! 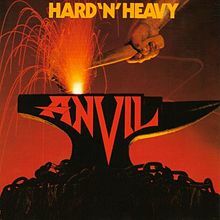 Growing up in the same province as Anvil (Ontario) I was always puzzled why they never really took off and I read there book that coincided with there movie and the book explains in depth how they were screwed over by Leber/Kerbs in the US (they managed Aerosmith/Nugent and others ) so I guess that was one of the reasons that it cost em! Those first three albums were classics! 80s metalman I have a blog going at superdekes.wordpress.com. Drop by …sorry shameless plug! Thanks and it’s a damn shame they got screwed the way they did. I am now following your blog don’t worry about the plug. Of course I may go on yours one day and shamelessly plug Rock And Roll Children. Absolutely man….no worries thanks for checking in! Believe it or not I don’t own this one! Just the greatest hits. 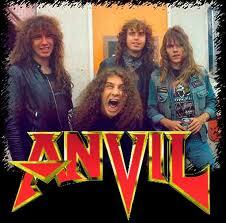 The first time I heard this was when a friend of mines older brother had Hard N Heavy. I recall as a 15 yr old thinking it was reall cool that they did a tribute to ACDC hahaha…than I heard the lyrics..and it was ….Nope!